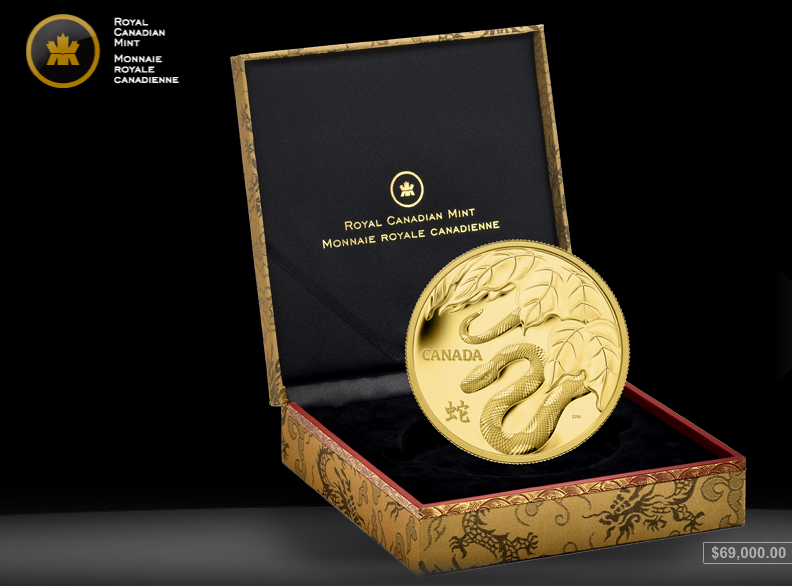 The Royal Canadian Mint is proud to celebrate the Chinese New Year with elegant coins that commemorate the Year of the Snake. Discover treasures of gold and silver featuring compelling designs, exceptional craftsmanship and incomparable prestige. Enter for a chance to win a 1/10 oz Gold Year of the Snake coin (retail value $229.95 CAD). Friday, February 8, 2013 – 10 a.m. to 5 p.m.
Saturday, February 9, 2013 – 10 a.m. to 5 p.m.
Sunday, February 10, 2013 – 11 a.m. to 5 p.m.